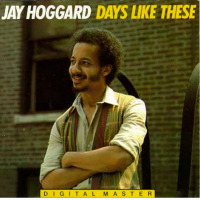 Born in Washington, DC, Jay Hoggard was raised in Mt. Vernon, New York in a religious family.His father was a Bishop in the African Methodist Episcopal Zion denomination. 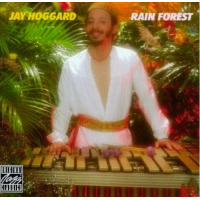 At age 15, Jay began playing the vibraphone. One night I had a dream that I was playing the vibes. I asked my father to rent me a set and from the first moment, I knew that this was what I was supposed to do. Jay majored in the renown World Music program at Wesleyan University . He toured Europe and played at Carnegie Hall during his freshman year. In his junior year, he traveled to Tanzania to study East African marimba music. 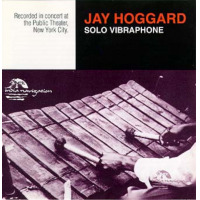 Jay graduated from Wesleyan in 1976 and returned to New York City in 1977 to be proclaimed a young lion of the vibraphone. 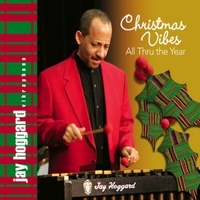 About CHRISTMAS VIBES ALL THRU THE YEAR, Jay says This recording is about the joy, peace, love, and happiness that should traverse the world during the holiday seasons and throughout the whole year. I am a Christian, and this recording is about the reason for the Christmas season: the observance and re-enactment of the circumstances of the birth of Jesus. But this music is also an offering to human beings of all faiths and non- faiths, of the beautiful sounds of which I am blessed to be one of many, many channeling spirits. This trio recording features James Weidman on organ and piano and Bruce Cox on the drums. 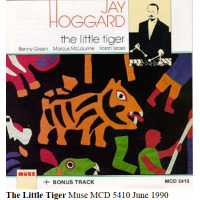 Jay Hoggard has been honored and commissioned as a composer in various contexts. In 2016 he premiered STORIED PLACES, a dance/word/music piece in collaborations with choreographer Nicole Stanton and writer Lois Brown. In 2009, he was commissioned by dance troupe Sankofa Kuumba and the Hartford Symphony Orchestra to write THE OTHER SIDE OF THE OCEAN and LET ME MAKE IT CLEAR. Previously, Jay collaborated with choreographer Cleo Parker Robinson by composing THE WISDOM OF THE BAOBAB TREE commissioned by Lincoln Center Out of Doors. He was commissioned by the Hartford Festival of Jazz to compose LA TIERRA HERMOSA, dedicated to Tito Puente. 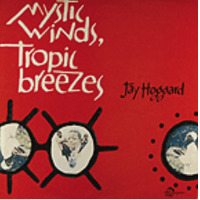 He was commissioned by Wesleyan University to compose JOYFUL SWAMP and CROSSING POINT for Max Roach and percussion ensemble, and VIBARIMBALA for symphonic and jazz orchestras. 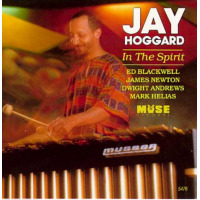 Jay Hoggard is a tenured Full Professor of Music at his alma mater, Wesleyan University. For over 25 years, he has been the director of the Wesleyan Jazz Orchestra and has taught and mentored hundreds of students. 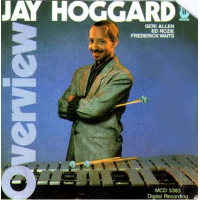 A very significant vibraphonist for for over 30 years, Jay Hoggard has long ranked with the greatest innovators of his instrument including Lionel Hampton, Red Norvo, Milt Jackson, Terry Gibbs, Bobby Hutcherson, Gary Burton, Khan Jamal and Walt Dickerson, as well as his contemporaries Steve Nelson, Joe Locke, and Stefon Harris. 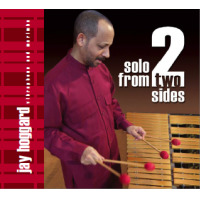 The release of five of his CDs, including SOULAR POWER and SOLO FROM TWO SIDES, gives listeners an opportunity to experience some of the many sides of this vital musician, and they document the vibraphonist's musical language during the first ten years of the 21st century. This is a major event! 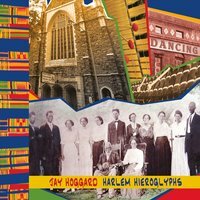 Jay Hoggard, who was born in Washington D.C.,grew up in a religious family in Mt Vernon, New York. He began playing the vibraphone when he was 15. 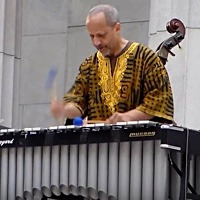 At Wesleyan University in Connecticut he studied in the World Music program including traveling to Tanzania to study firsthand East African xylophone music. Soon after he graduated in 1976, Jay was recognized as an increasingly important force on his instrument, able to display his own voice in settings ranging from the avant- garde to swing, from unaccompanied solo performances to work with a wide variety of all- star performers. The same can be said for the frequently-stunning SOLO FROM TWO SIDES (2009). 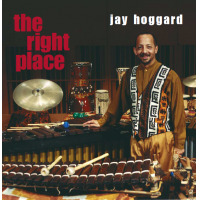 Performing unaccompanied on vibraphone and marimba, Jay Hoggard creates music that is hypnotic, intriguing, melodic, thoughtful, surprising and thoroughly original. While a handful of vibraphonists have recorded solo sets in the past (including Gary Burton, Khan Jamal and Walt Dickerson), none have sounded like this. 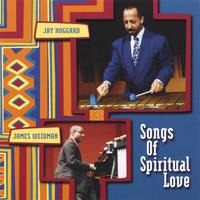 There are many rich melodies (“Kalila's Smile” and “Riverside Dance”are two strong examples), pieces that display the African heritage (“Ujamaa”,The Golden Ashanti, and “Rain Forest”) and new spirituals such as “In The Spirit” and “Worship God In Spirit, Truth And Love.” Each of the 13 selections is memorable in its own way. 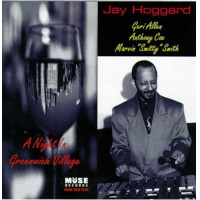 But that is to be expected for Jay Hoggard has developed his own personal voice, both as an improviser and as a composer. 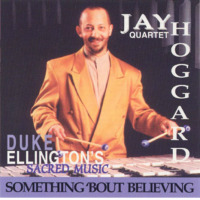 Also of strong interest is SOMETHING BOUT BELIEVING, a 1999 CD put out by the Twinz Records label and made available from JHVM that features Hoggard (along with Weidman, Bullock and akLaff) performing Duke Ellington's sacred music including “Come Sunday,” “The Shepherd” and “Heaven.” Back in 1967 the youngster accompanied his father to one of Ellington's sacred concerts and the performances changed his life, inspiring him to become a musician and ultimately a major vibraphonist. 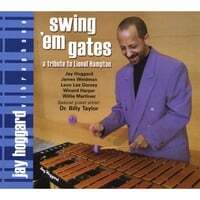 For more information about the Jay Hoggard or his recordings, contact Carolyn McClair Public Relations at carolynmcclairpr@aol.com or www.jayhoggard.com. All About Jazz musician pages are maintained by musicians, publicists and trusted members like you. Interested? 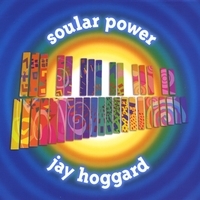 Tell us why you would like to improve the Jay Hoggard musician page.